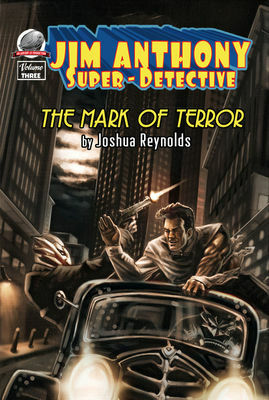 Airship 27 Productions and Cornerstone Book Publishers are excited to announce the release of their third Jim Anthony Super Detective book, a full length novel, THE MARK OF TERROR. From the early days of his crime fighting career, comes this brand new adventure of the man known as Jim Anthony; Super Detective. Half Irish, half Comanche and All American, Jim Anthony finds himself caught up in a world-wide conspiracy of murder and carnage as two ancient Greek cults square off against each other in modern times; each vying for world dominance over the other. When several of New York’s leading business men suddenly go insane and begin committing suicide, the police are baffled and reluctantly look to the Super Detective for help. Soon, with the aid of a renowned archeological historian and a spunky, fearless female reporter, Jim Anthony is quickly caught up in a mystery like no other he has ever faced before. With danger from deadly masked assassins at every turn, the famous adventurer’s own life is soon hanging in the balance as he becomes the primary target of both warring cults. This Halloween, Moonstone heads back to their monstrous roots with the Return of the Monsters Comic Book Event. Return of the Monsters features four stand-alone tales of pulp’s mightiest heroes facing off against some classic monsters. 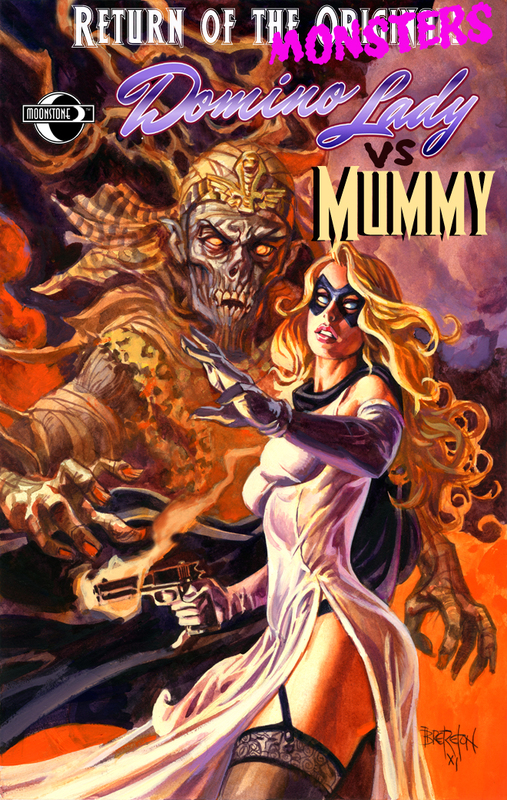 One of those titles is Domino Lady vs. the Mummy by co-writers Nancy Holder and Bobby Nash with art by Rock Baker and Jeff Austin. All Pulp sat down with the Bobby Nash to talk about this upcoming book. You can read the full interview at http://allpulp.blogspot.com/. Table Talk, where three writer- umm, authors, discuss the ins and outs of creating fiction for prose, comics and other outlets. This week, Barry Reese, Bobby Nash, and Mike Bullock chat about how far ahead they plot and how far back they work when building their characters.